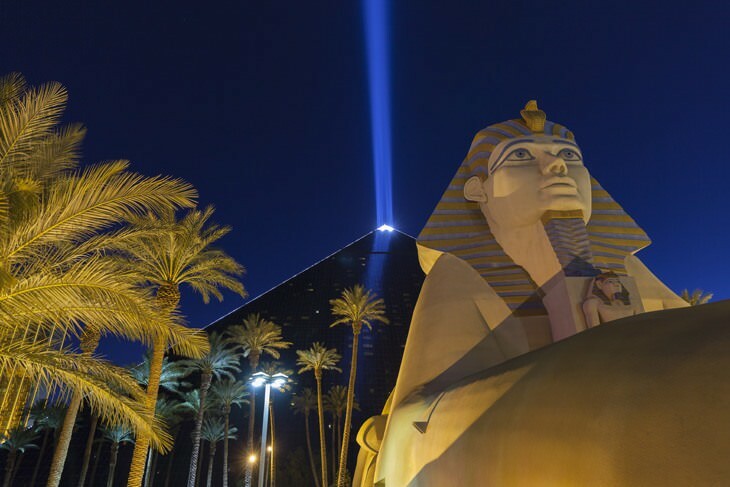 Men have always been fascinated by light since the discovery of fire. The innovation comes from torches then to flashlights. Nowadays, thanks to technology development, the invention of the flashlight paved the way for a brighter and a more efficient light source. Flashlights are for camping or hiking trips, adventures, search and rescue operations. Furthermore, with the advancement in technology, they are now capable of water-based operation. However, the best rechargeable flashlight from below list can benefit you more than what you can imagine. Solaray specifically focuses on manufacturing flashlights, so you know that they are reliable and know the right qualities. The Solaray Pro ZX-1 XL Flashlight Kit includes the 1600 Lumens LED Flashlight, two rechargeable batteries, and a dual battery cordless charger. Solaray is known for durable and dependable flashlights. Their flashlights, including the ZX-1, are ideal for security patrol and outdoor activities like camping, fishing, and hiking. The ZX-1 has a maximum of 1,200 lumens, with five light modes. If you want something affordable and efficient, this flashlight is an excellent choice. The full kit includes a rechargeable lithium ion battery, along with a battery sleeve and charger. It also includes a casing, a triple A battery holder and a user manual. One of the key features of this flashlight is it high quality and ultra bright LED. A full battery can last about 4-5 hours on full blast, and it takes approximately 6 hours to charge it fully. Streamlight is a popular brand for portable flashlights and headlamps. They also manufacturer lights for automotive, military, and law enforcement purposes. With that kind of market, you know they’re a reliable brand. The Streamlight Strion Led Rechargeable Flashlight is one of their general or consumer purpose flashlights. It features Streamlight’s C4 LED Technology, which is powerful and brighter than most basic LED lights. You can choose from three modes (high, medium and low), as well as strobe lighting for emergencies. The maximum beam distance is about 200 meters, while the lowest is about 100 meters with the low light mode. Another opus of Streamlight is the 74751 Strion LED. It allows you to access its three lighting modes. The first option lets this flashlight emit 500 lumens. On the other hand, the second and third options can emit 250 lumens and 125 lumens respectively. For those that have tried this flashlight already, they have testified that the second option is the most efficient setting. The flashlight possesses a strobe function which you can use by disorienting your attacker. Also, you can use this feature to signal your location to responders during critical moments. Moreover, it has a durable anodised aluminum body which makes it impact and shock resistant. Aside from that, it has a borofloat tempered glass lens that can resist any harsh conditions. Another Streamlight flashlight to consider is the ProTac HL. It has a maximum of 850 lumens, and it also features the C4 LED Technology, which gives a powerful and bright light. The Streamlight ProTac HL offers three programs, which are high, low, and strobe. The package includes a USB cord, a nylon holster, and removable pocket clip. It uses lithium ion batteries, but you can also use 3V CR123 lithium batteries or a Lithium Ion 18650 rechargeable battery. Which Flashlight Should You Buy? What we usually look for in flashlights is light intensity, battery life, and it’s weight or shape. However, the recent advances in flashlight technology have raised the old boundaries to a new level. For example, the ANSI FL1 standard was released to meet the high demands for high-quality products. Thus, with more and more standards released, large companies now include some of the following performance data in their packages. Lumens is the unit of light intensity. People measure the lumens by using an integrating sphere. The higher the Lumen value, the higher the brightness or its light intensity. While an 18 W halogen light source only gives off 250+ lumens, a 4 W LED light source can give off the same value. A 5 W LED can give off 450+ lumens while the 10 W LED shines at 800+ lumens. Beam intensity is the measurement of the brightness at the middle of the flashlight beam. This is useful in determining how far a flashlight can illuminate. To demonstrate the difference between peak beam intensity and light output, the light output is the total amount of light coming from the flashlight while the peak beam intensity is the focus of the total light. For example, the flood light has high light output but has low peak beam intensity, good for wide range illuminations and close range objects. Meanwhile, the laser has low light output but has high peak beam intensity. Therefore, the laser is good for long range observation but blinding in close range. Beam distance is the measure of how far a flashlight can project light the same as a full moon on a clear night. People measure beam distance in meters and through the peak beam intensity. A flood light has a very short beam distance. On the other hand, the spotlight has higher peak beam intensity and thus has longer beam distance. As I said in the beginning, the advancements in technology came along with the creation of waterproof and even submersible flashlights. The IPX rating system uses three ratings. IPX4 – water resistant. A flashlight having this rating means that the flashlight is resistant to any amount of water that comes in contact with the flashlight. Therefore, it is the best for rainy seasons and water based occasions. IPX7- waterproof. A flashlight with this rating can endure the depth of 1 meter for 30 minutes. However, continuous submersion may result in damages to the inside circuitry. 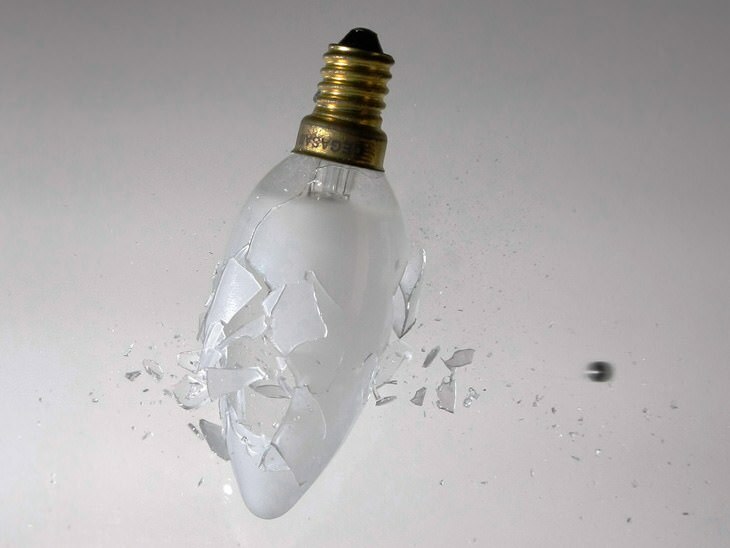 Also, deeper depths can also cause higher pressure onto the flashlight leading to the damage in circuitry. After all, it is still useful for floods and in shallow water areas where your flashlight may fall. IPX8 – submersible. So far, this is the best feature available. This means that your flashlight can submerge at the specified depth for 4 hours. Thus, it still functions underwater without any damage. Impact resistance is a measure of how high (in meters) the flashlight can survive. This is most useful in high altitude occasions, like on the roof, on a tree or in mountain climbing. However, falling in a much higher distance than the indicator written in the rating may cause the device to deform or lose its functions. But in some cases, the flashlight might still have defective functions because of small parts of the circuit moving in the insides of the device. They calculate the runtime by measuring the amount of time it takes for the flashlight to go from 100% output to below 10%. This is, especially, necessary when traveling or camping. Moreover, this helps you indicate the usage of the flashlight to the most useful cases. Solaray specifically focuses on manufacturing flashlights, so you know that they are reliable and know the right qualities. The Solaray Pro ZX-1 XL Flashlight Kit includes the 1600 Lumens LED Flashlight, two rechargeable batteries, and a dual battery cordless charger. Solaray is known for durable and dependable flashlights. 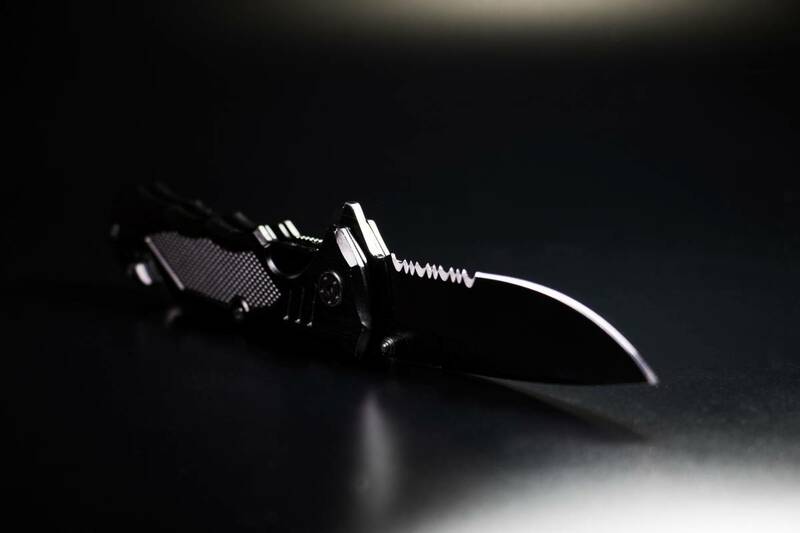 Their flashlights, including the ZX-1, are ideal for security patrol and outdoor activities like camping, fishing, and hiking. The ZX-1 has a maximum of 1,200 lumens, with five light modes. The highest mode is powerful enough to light up an entire room. If you want a larger size, you can get the ZX-1 XL, which has a maximum of 1,600 lumens. Solaray specifically focuses on manufacturing flashlights, so you know that they are reliable and know the right qualities. 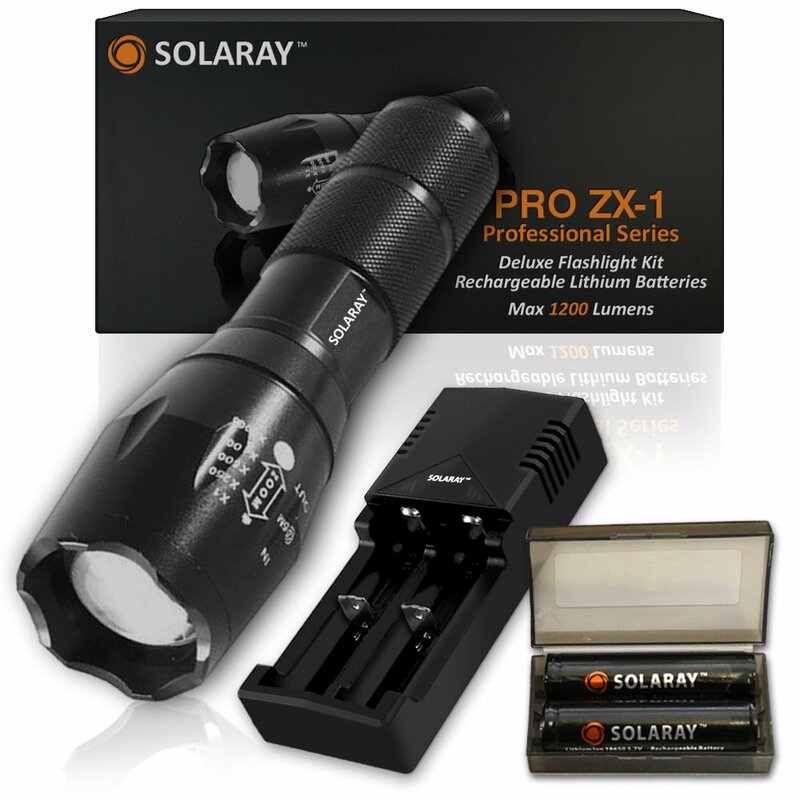 The Solaray Pro ZX-1 XL Flashlight Kit includes the 1600 Lumens LED Flashlight, two rechargeable batteries, and a dual battery cordless charger.Solaray is known for durable and dependable flashlights. Their flashlights, including the ZX-1, are ideal for security patrol and outdoor activities like camping, fishing, and hiking. The ZX-1 has a maximum of 1,200 lumens, with five light modes. It is water-resistant and has a durable build. 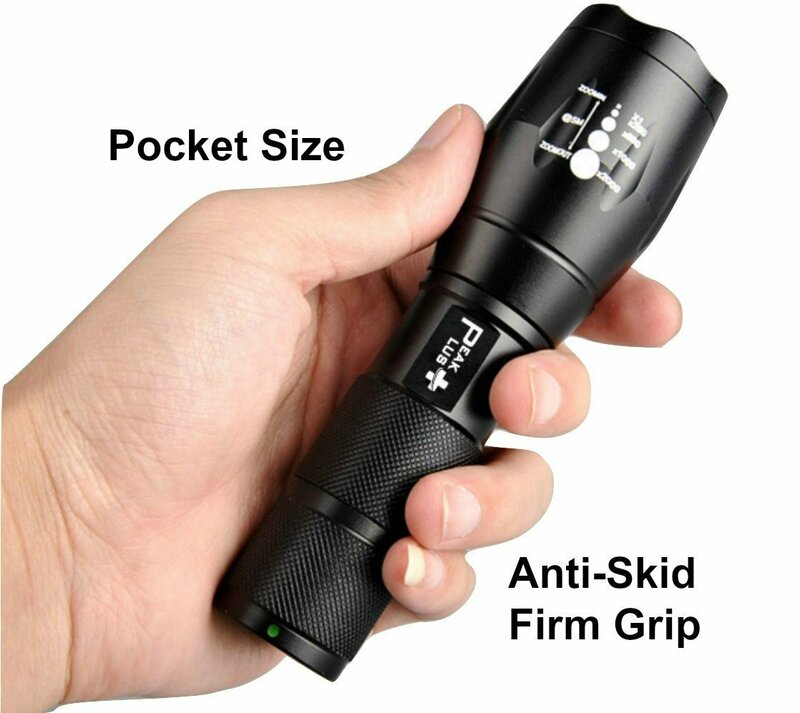 It is a great flashlight for fishing, kayaking, and other outdoor water activities. The compact design allows you to carry around easily, but it’s also large enough to give you powerful light for more demanding situations. It makes for a great gift, especially with the beautiful padded box it comes in. The zoom function is too sensitive. A slight touch on the front or side can give you unwanted zoom adjustments. That can be frustrating when you’re using it for specific purposes. If you want something affordable and efficient, this flashlight is an excellent choice. The full kit includes a rechargeable lithium ion battery, along with a battery sleeve and charger. It also includes a casing, a triple A battery holder and a user manual. One of the key features of this flashlight is it high quality and ultra bright LED. A full battery can last about 4-5 hours on full blast, and it takes approximately 6 hours to charge it fully. The flashlight features five light modes: low, medium and full brightness, strobe brightness, and SOS. You can also adjust the focus range of the light. If you want something affordable and efficient, this flashlight is an excellent choice. The full kit includes a rechargeable lithium ion battery, along with a battery sleeve and charger. 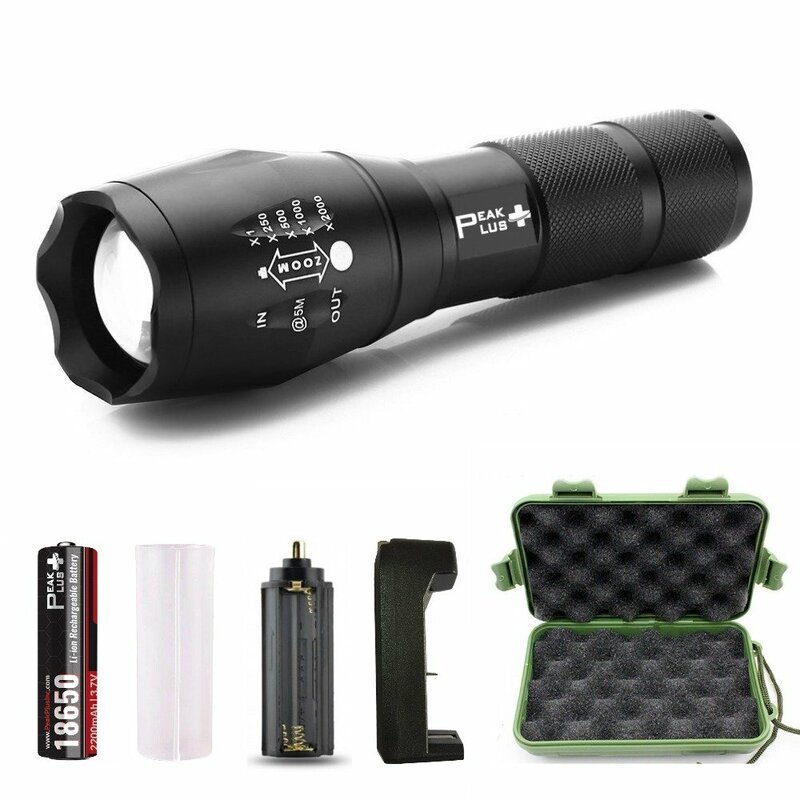 It also includes a casing, a triple A battery holder and a user manual.One of the key features of this flashlight is it high quality and ultra bright LED. A full battery can last about 4-5 hours on full blast, and it takes approximately 6 hours to charge it fully. The flashlight body is an aluminum alloy. It is water-resistant and anti-abrasive, which makes it ideal for outdoor activities like camping and hiking. The flashlight alone weighs only about 5 ounces. You can take it around easily. It can fit in your pocket, or you can use some carabiner to hook onto your bag or clothing for easy access. 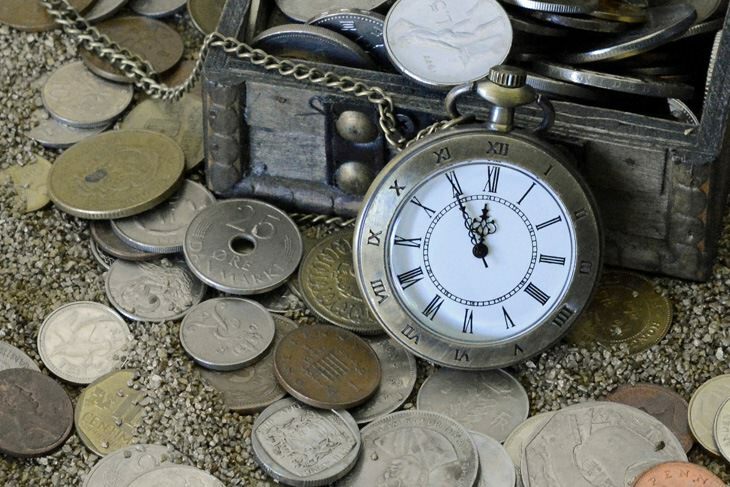 The battery charging time is quite long, but that might be because of the low-quality lithium battery and charger. For better battery life and faster charging time, get a better quality set of batteries and charger. Streamlight is a popular brand for portable flashlights and headlamps. They also manufacturer lights for automotive, military, and law enforcement purposes. With that kind of market, you know they’re a reliable brand. The Streamlight Strion Led Rechargeable Flashlight is one of their general or consumer purpose flashlights. It features Streamlight’s C4 LED Technology, which is powerful and brighter than most basic LED lights. You can choose from three modes (high, medium and low), as well as strobe lighting for emergencies. The maximum beam distance is about 200 meters, while the lowest is about 100 meters with the low light mode. Streamlight is a popular brand for portable flashlights and headlamps. They also manufacturer lights for automotive, military, and law enforcement purposes. 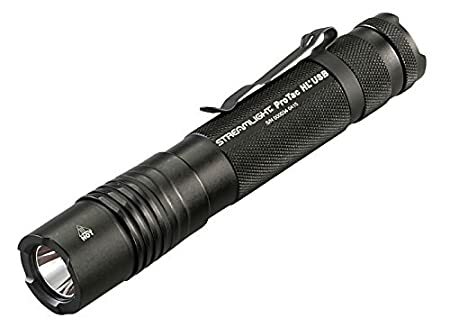 With that kind of market, you know they’re a reliable brand.The Streamlight Strion Led Rechargeable Flashlight is one of their general or consumer purpose flashlights. It features Streamlight’s C4 LED Technology, which is powerful and brighter than most basic LED lights.You can choose from three modes (high, medium and low), as well as strobe lighting for emergencies. The maximum beam distance is about 200 meters, while the lowest is about 100 meters with the low light mode. It gives off very powerful light for the size. 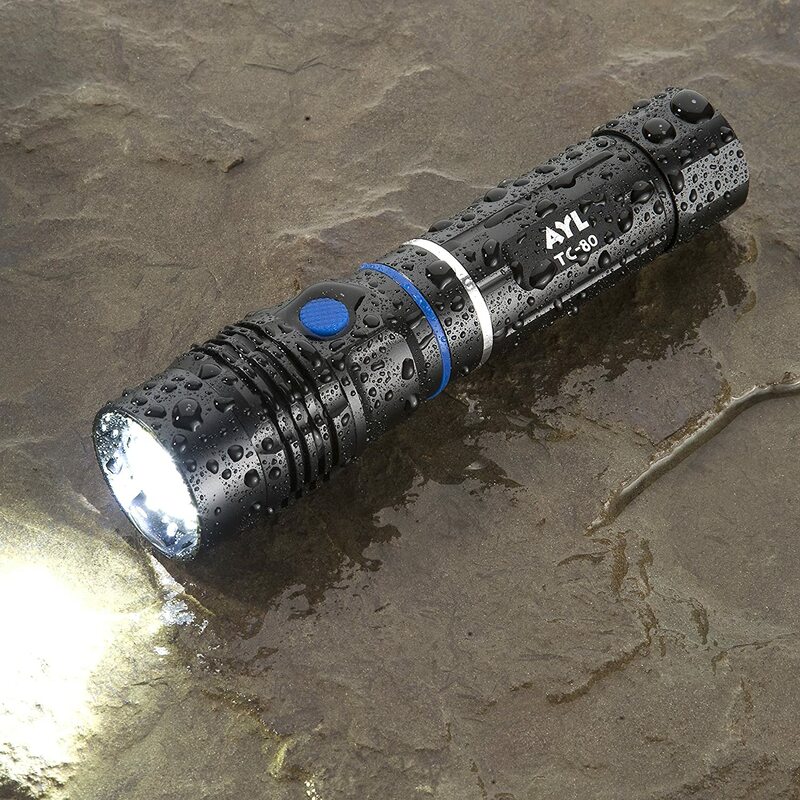 The flashlight body is water resistant and very durable. It takes only about 3 hours to charge the batteries fully. You can charge via USB, which is very convenient nowadays, or AC/DC charging. The battery life is quite poor, with a maximum of 2 hours on highlight mode. To save on battery, keep it on medium or low unless the high beam is necessary. The medium mode can run about four hours, while low can run up to 7.5 hours. The strobe lighting can go on for about five and a half hours. This brand is quite expensive. There are a lot of other cheaper options. Another opus of Streamlight is the 74751 Strion LED. It allows you to access its three lighting modes. The first option lets this flashlight emit 500 lumens. On the other hand, the second and third options can emit 250 lumens and 125 lumens respectively. For those that have tried this flashlight already, they have testified that the second option is the most efficient setting. The flashlight possesses a strobe function which you can use by disorienting your attacker. Also, you can use this feature to signal your location to responders during critical moments. Moreover, it has a durable anodised aluminum body which makes it impact and shock resistant. Aside from that, it has a borofloat tempered glass lens that can resist any harsh conditions. The Streamlight 74751 Strion LED has a functional ergonomics that lets you attach it to a long gun such a rifle. Therefore, you can expect that this product is ideal for tactical and military operations. Meanwhile, the IPX4 water-resistant rating of this flashlight allows you to use this tool in under operations. Also, you will love the digital control circuit of this flashlight, which prevents overcharging. Synonymously, its lithium ion battery guarantees you that you can recharge this flashlight for 1000 times. Another opus of Streamlight is the 74751 Strion LED. It allows you to access its three lighting modes. The first option lets this flashlight emit 500 lumens. On the other hand, the second and third options can emit 250 lumens and 125 lumens respectively. 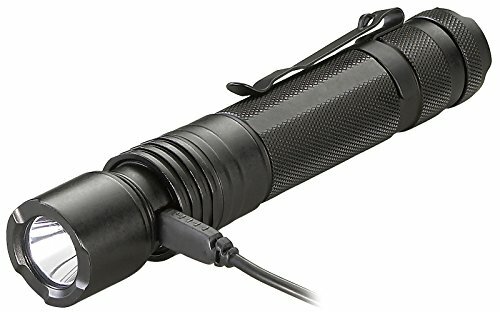 For those that have tried this flashlight already, they have testified that the second option is the most efficient setting.The flashlight possesses a strobe function which you can use by disorienting your attacker. Also, you can use this feature to signal your location to responders during critical moments.Moreover, it has a durable anodised aluminum body which makes it impact and shock resistant. Aside from that, it has a borofloat tempered glass lens that can resist any harsh conditions. Another Streamlight flashlight to consider is the ProTac HL. It has a maximum of 850 lumens, and it also features the C4 LED Technology, which gives a powerful and bright light. The Streamlight ProTac HL offers three programs, which are high, low, and strobe. The package includes a USB cord, a nylon holster, and removable pocket clip. It uses lithium ion batteries, but you can also use 3V CR123 lithium batteries or a Lithium Ion 18650 rechargeable battery. Another Streamlight flashlight to consider is the ProTac HL. It has a maximum of 850 lumens, and it also features the C4 LED Technology, which gives a powerful and bright light. 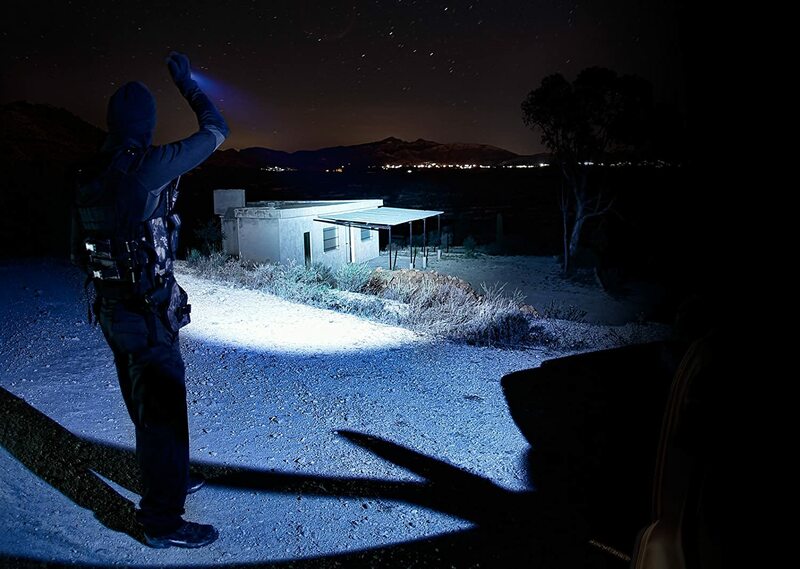 The Streamlight ProTac HL offers three programs, which are high, low, and strobe.The package includes a USB cord, a nylon holster, and removable pocket clip. It uses lithium ion batteries, but you can also use 3V CR123 lithium batteries or a Lithium Ion 18650 rechargeable battery. It has a very portable size. It’s perfect for short-term use like walks at night, or just as a handy item. You can charge it via USB, which is quite convenient, but you can also charge it traditionally with AC/DC charging. It also accepts more than one type of battery, in the case of emergencies or if you don’t have access to power supply. 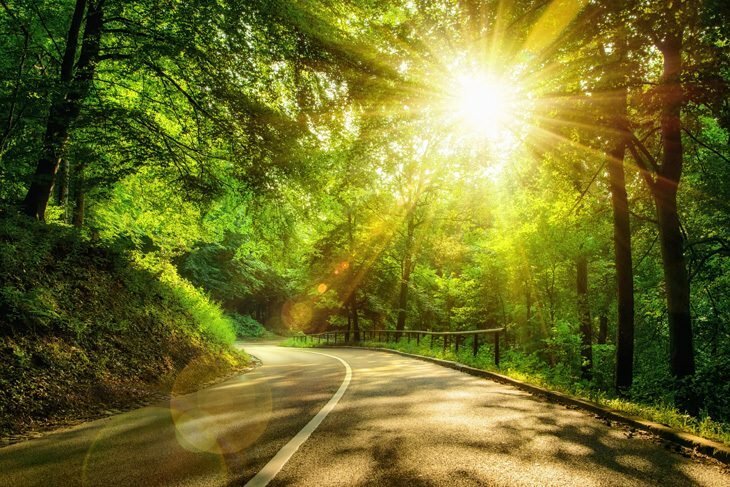 On high beam or strobe, it can only run for about one and a half hour. Short battery life can be very inconvenient for outdoor activities. 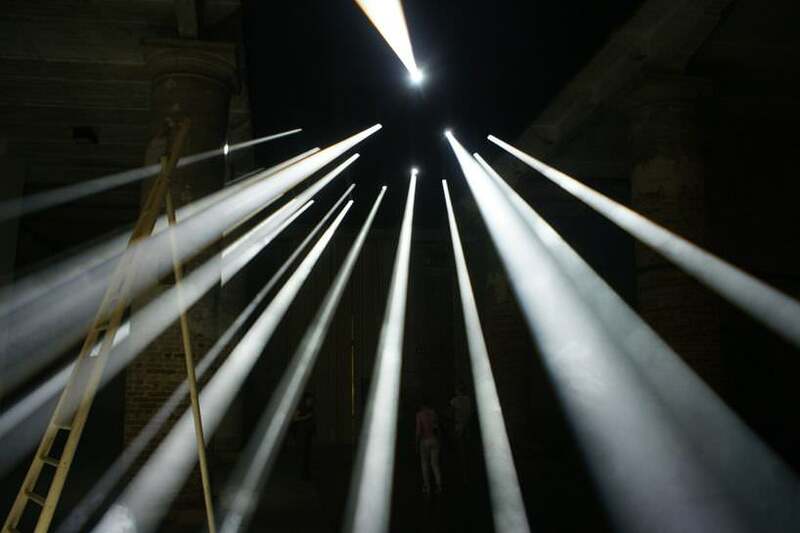 All of these flashlights can certainly illuminate even the darkest nights. They have particular features that enhance their performance, especially during crucial and tight situations. 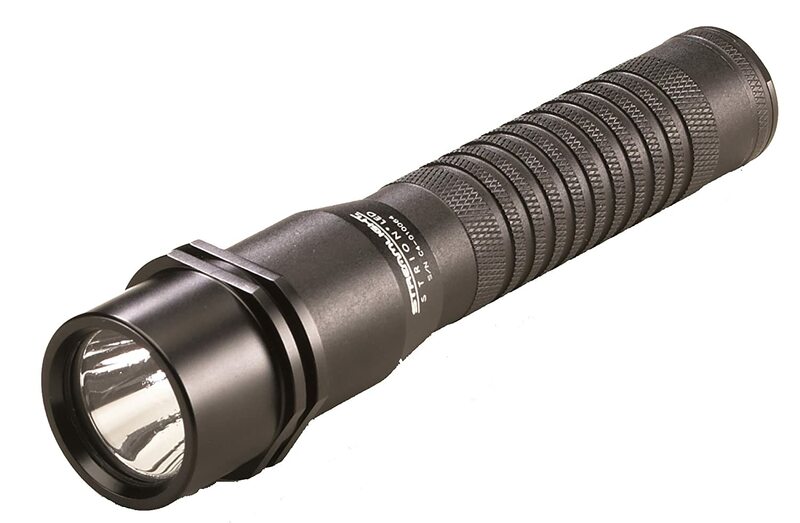 Moreover, these flashlights are ideal for tactical, emergency, and survival situations. Since they are all durable and sturdy, then you can assure that all of them are reliable light sources. For camping purposes, bringing a rechargeable flashlight is already a necessity. You need mobility even in the night. Searching for your things would be hard if there is no source of illumination, right? 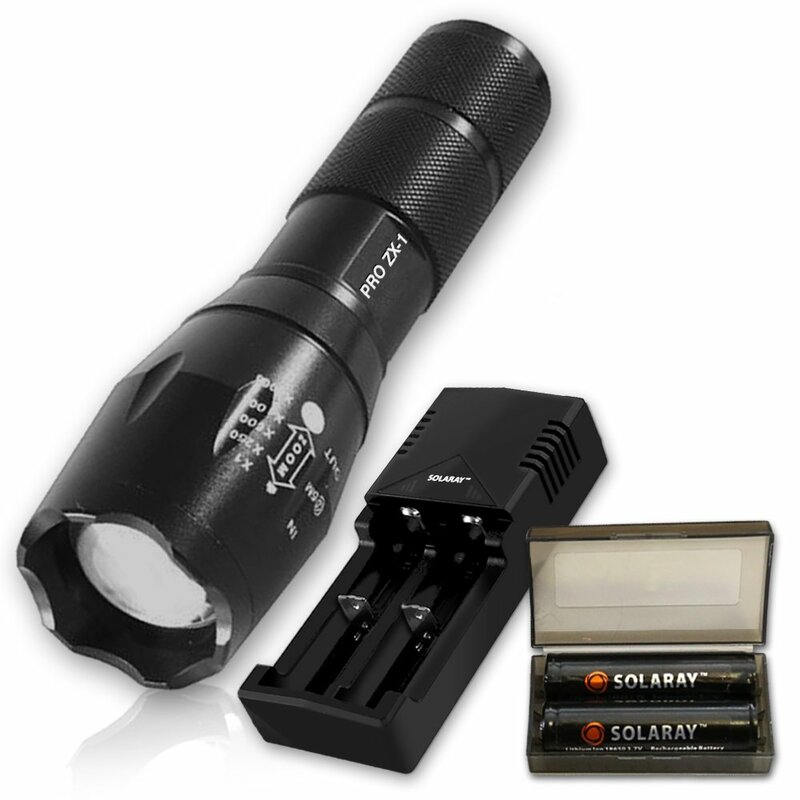 But among them, we declare the Solaray Pro ZX-1 Flashlight Kit is the best rechargeable flashlight. It has a strong light intensity and longer runtime compared to the other brands. But the flashlight’s real ability shows only if you know how to use it. After all, even the best flashlight is useless to someone who doesn’t care about it! Did you enjoy this article? Do you agree with our list? Are you using other rechargeable flashlights? Let us know what you think by leaving a comment below. Share this article with your friends and help them buy the best one.